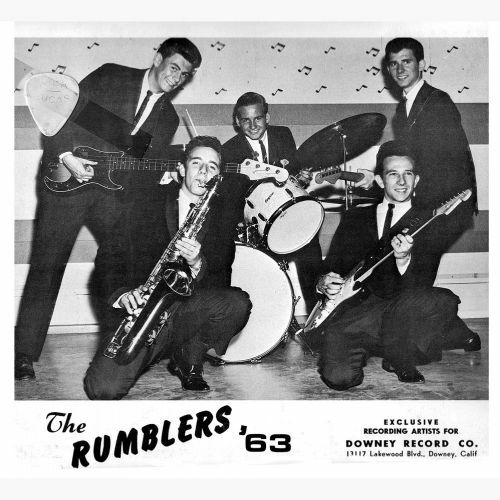 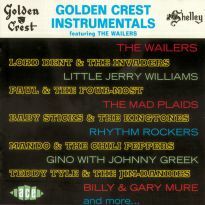 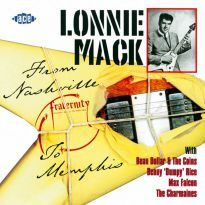 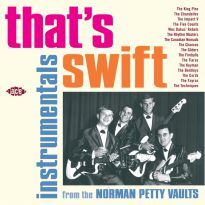 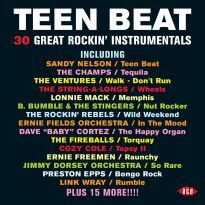 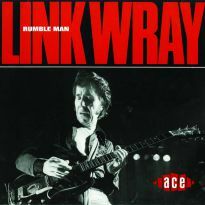 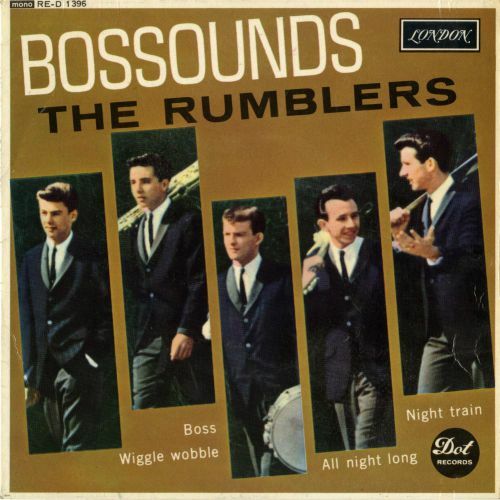 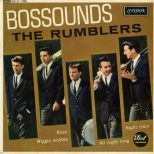 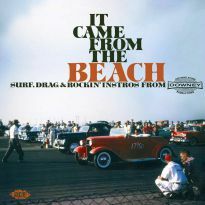 Naming themselves after Link Wray’s 1958 hit ‘Rumble’, the group’s first release paired the instrumentals ‘Stomping Time’ and ‘Intersection’ on the small Highland label which secured them sessions at the famed studio in Downey, California attached to Wenzel’s Music Town record store. 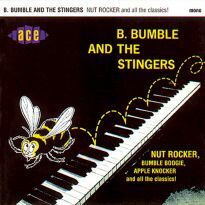 Here, a take-off of the Strangers’ 1959 hit ‘Caterpillar Crawl’ evolved into the number they named ‘Boss’. 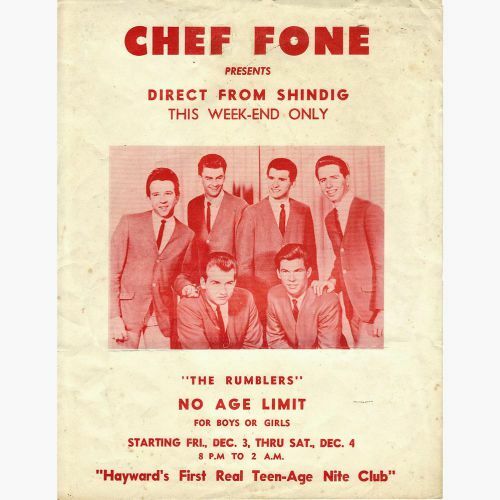 And no wonder it became a hit, the opening bars carry one of the all-time catchiest intros. 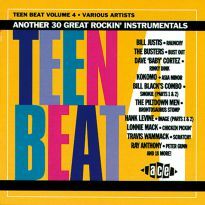 A frantically whammied low note from guitarist Mike Kelishes precedes a four-to-the-bar bass drum beat that is developed into a hypnotic riff by bass guitar, building in intensity as first guitars and then sax join in. 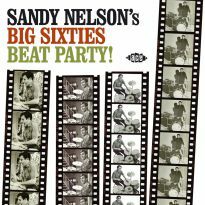 Half a dozen bars of primal pounding and you’re hooked. 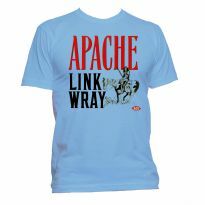 Simple, but oh so effective. 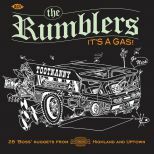 A couple of early Rumblers compilation CDs have long since become sought after collector’s items, but “It’s A Gas!” surpasses them all by being a far more comprehensive selection. 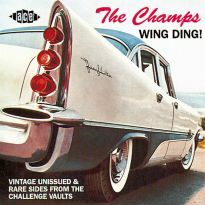 And in true Ace fashion it is taken direct from the best sources bringing vastly improved sound quality. 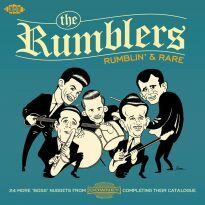 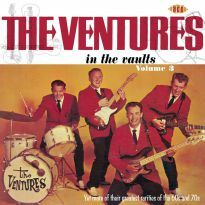 The accompanying booklet features an informative essay from compiler Brian Nevill telling the full story of the group plus loads of never-before-seen pictures from the collections of the Rumblers themselves. 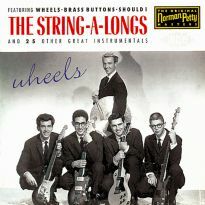 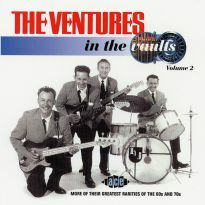 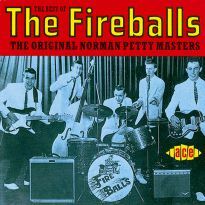 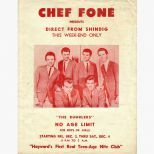 In addition to the best of the group’s singles for Downey and Dot and selections from their “Boss” LP, there are CD debuts for both sides of the Highland single and a later 45 released under the name of the Interns. 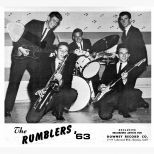 If that wasn’t enough there are no less than 10 tracks new to a Rumblers CD including four totally unreleased recordings in the shape of ‘Warhead’, ‘Why Did You Make Me Cry’, ‘Freight Train’ and ‘Strawboss’. 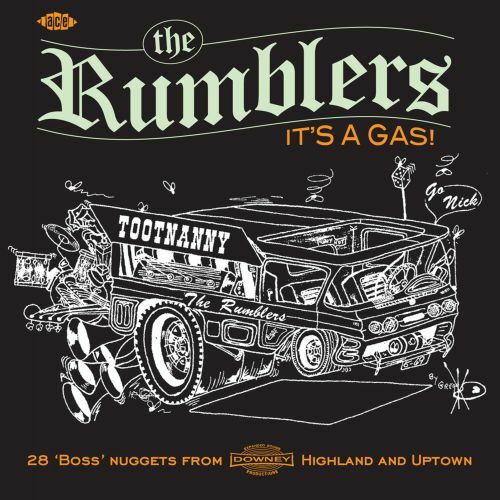 With all their best in one package, “It’s A Gas!” is the definitive collection of the Rumblers and is a compilation that surf and instrumental fans will find irresistible – it’s a boss gas, man!